On Saturday, May 18, residents of Van Wert County and the surrounding area are invited to the Van Wert County Regional Airport for a day-long airshow. The show, being organized by the Airport Authority, the Van Wert Historical Society and the Van Wert Area Convention and Visitors Bureau, commemorates the 100th anniversary of the first airplane flight across the Atlantic Ocean. The first successful flight across the ocean was in a Navy NC-4 Curtiss Flying Boat piloted by Van Wert County native Walter Hinton eight years before Charles Lindbergh did it solo. The NC flying boats were designed as aircraft that could fly across the Atlantic to the coastlines of Europe and be ready to patrol for German U-boats upon arrival. 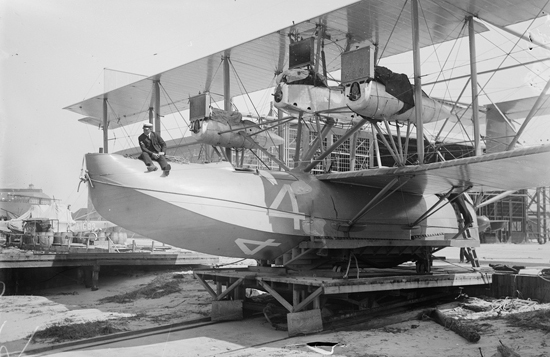 Too late for World War I, the NCs still took up the challenge of traversing the Atlantic by air, and, in May 1919, the NC-4 made the first successful transatlantic flight, a milestone in aviation history that brought great acclaim to Naval Aviation. 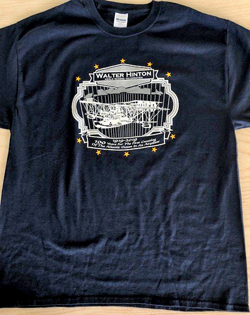 Walter Hinton t-shirts are now on sale at the Van Wert Area CVB and the airport. The local airport will begin the day with a fly-in breakfast beginning at 7 a.m. Events will continue through the day until 5 p.m. Activities will include planes, both historic and present-day, speakers, demonstrations, recognition of county residents who have been identified as local aviation stars, a ceremony designating the airport as Walter Hinton Airfield, airplane rides, helicopters from both Parkview and Lutheran hospitals, children’s activities, and radio-controlled planes. Lunch will also be available. T-shirts celebrating this achievement are available for purchase in both youth and adult sizes up to 4XL. Order forms for the shirts can be picked up at the Van Wert Area Convention & Visitors Bureau office (136 E. Main St.) or the Van Wert County Regional Airport. Cost is $12 per shirt with an added fee for extra-large sizes. The front of the shirt has a design depicting the NC-4 in flight and the back has a picture of Walter Hinton. Pre-sale orders will be taken until May 14. Shirts can also be purchased the day of the show. For more information, call the CVB at 419.238.9378 or the airport at 410.232.4500.